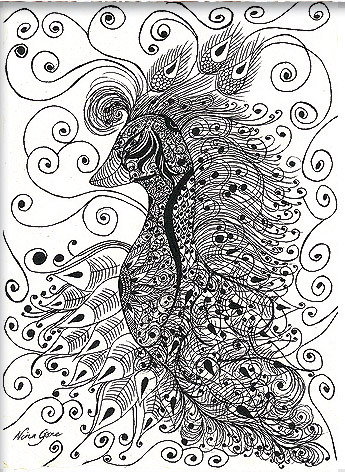 This impressive drawing of a Peacock is a symbol of integrity and beauty. Original Size: A4 (29.7cm x 21cm) Framed without mount. SOLD. Materials: Black ink on recycled cotton rag paper.